Mark Murrell founded GetMaineLobster.com-Black Point Seafood in 2010 with the primary goal of making fresh Maine seafood available to anyone in the continental United States—no small task—but he has accomplished the feat by establishing an online business that provides dock-to-doorstep delivery of the world’s best lobster—Maine lobster—as well as seafood appetizers and select beef. An accomplished businessman, Mark’s company quadrupled its customer base since its first year of operation and earned a reputation for excellent customer service nationally. Mark and his business have been featured in the Wall Street Journal and USA Today and recommended on Rachel Ray and ESPN. Additionally, out of 4 million small businesses that Chase serves, Mark and GetMaineLobster.com/Black Point Seafood, were recently selected to be featured in the 2013 Chase National Advertising Campaign. Recognized as a leader in Marketing, combined with his unique approach and enthusiasm for his work, Mark is often sought after to consult other industries interested in expanding to or increasing visibility on the Internet. His expertise in leveraging the Internet to capture qualified prospects led to the development of unique marketing products and tools that automate sales efforts. Additionally, the success of his online food business has led to numerous requests from professionals interested in replicating his online business model. Mark holds a degree in Hospitality and Media writing from from Newbury College the University of Southern Maine. He currently resides in Yarmouth, Maine with his wife and daughter. 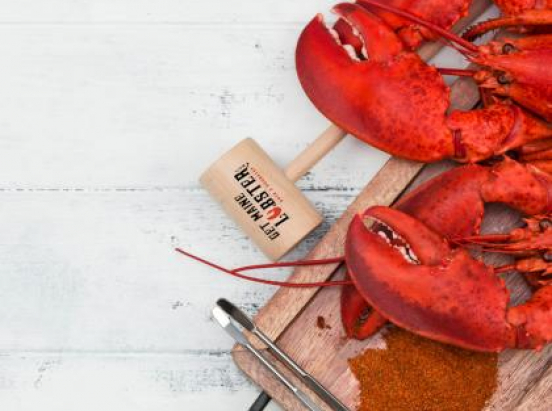 In summer he loves all that Maine has to offer, time at the lake or ocean, grilling on the back deck, festivals, or just relaxing on the dock. During the winter, well, Mark doesn’t want to talk about that. Invest by 11:59pm ET on Monday, September 7th to receive the next tier of perks (one tier up from your investment amount). Applicable for $5,000 investments and above. First 50 investors to invest $1,000 or more will receive our limited edition GML Dock t-shirt (you're family now).